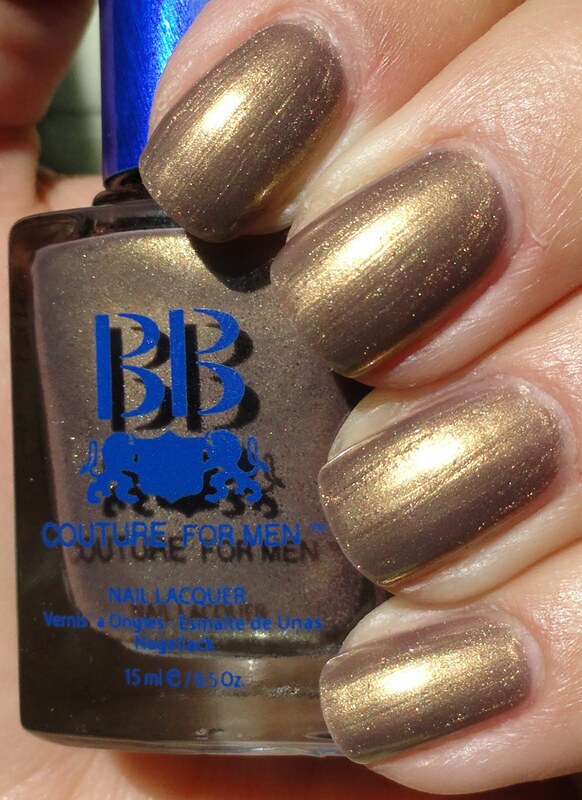 Award Medal by BB Couture is part of their Men's nail polishes. It came out in the Formal Collection, which I love and need to get more of. It's a metallic thin antique brown gold shimmer with a slight green tinge. In certain lights the shimmer catches more green than in others, making it more complex than you assume at first look. This is three coats.